A major innovation step for Severn Glocon Group’s Severn Leeds butterfly valve range has been recognised with a patent granted by the UK Intellectual Property Office. The oblique cone technology (OCT) developed for triple offset valves, plays a critical role in Severn’s reinvention of butterfly valves for control applications. 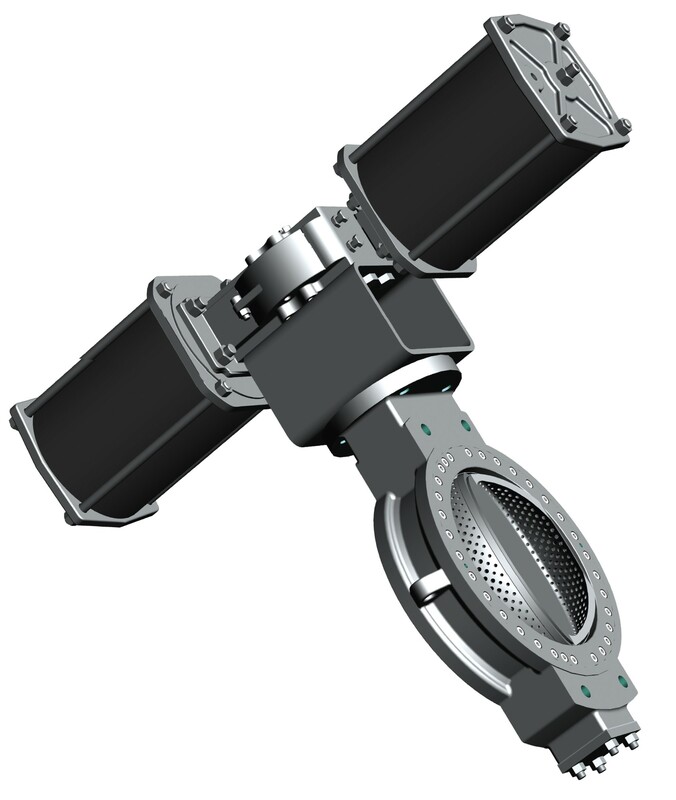 The OCT triple offset is the first butterfly valve designed primarily for flow control, rather than isolation or shut-off. Based on an ‘infinite circle’ geometry, the design offers full bore capability which improves flow performance as well as sealing capabilities. Traditional triple offset butterfly valve designs have an elliptical disc seal and bolted sealing elements, which hinder flow performance and ultimately shorten the expected lifespan of the valve. Customers already using the OCT triple offset control valve include oil and gas, chemical and petrochemical, LNG and fertiliser manufacture organisations. Its simplicity of design delivers significant processing benefits, as well as ensuring low maintenance and longevity. Furthermore, it can be custom-engineered to non-standard specifications and its solid disc can incorporate anti-cavitation and low-noise trims when required. The valve is also suitable for the rigours of critical and severe service applications. It has passed fire safety and cryogenic testing, and can be used across a wide temperature range from -200°C to +800°C.